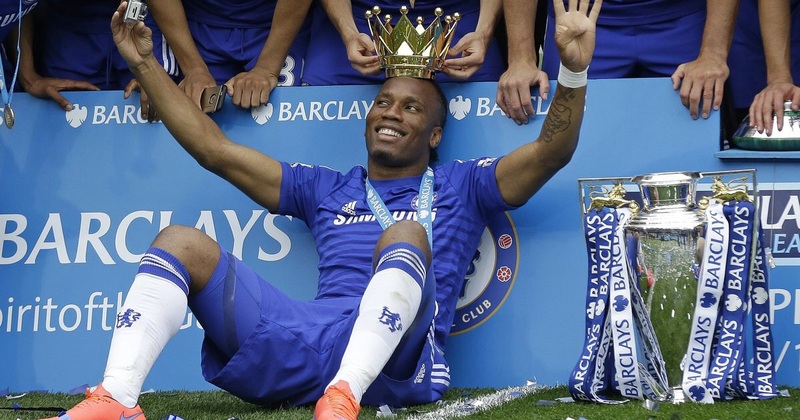 Former Ivory Coast international, Didier Drogba, has finally landed in MLS after months of speculation. However, his arrival has not come without controversy. While Drogba has not officially signed his 18 month contract rumored to be 3 million per season, the signing is said to be imminent. The Fire received $1000,000 plus additional allocation money from the Impact for Drogba. Chicago was able to obtain the right to Drogba after filing a discovery claim on him and had been pursuing Drogba for more than a month. But, the French-speaking city of Montreal was enticing to Drogba whose first language is French. The fact Drogba preferred Montreal over Chicago was just another setback for Fire coach Frank Yallop who is fighting to save his job. Yallop shared the following statement. “I don’t use the word upset because it’s futbol. We’ve gone down the line with a lot of players. The 37 year-old Drogba is the all-time leading scorer for Ivory Coast scoring 65 goals in 104 appearances in international play. He is best known for his time in the EPL with Chelsea where he scored 104 goals in 254 appearances. Drogba leaves Chelsea as the fourth highest scorer in club history and as the top foreign scorer all-time for The Blues. How much Drogba can help at age 37 remains to be seen. His strength is playing with his back to the goal and has always been dangerous on set plays. The Impact are hoping Drogba can be the missing piece to their playoff push. If the season ended today, the Impact would claim the final spot in the Eastern Conference ahead of New York City FC. Now in their fourth MLS season, the Impact would like to go farther than the knockout round where they were eliminated in the 2013 playoffs. I still think MLS has to change their allocation procedure. You can’t have players constantly bypassing teams because those franchises will continue to struggle. By the same token, MLS couldn’t force Drogba to go to Chicago in fear of him bolting to play in India where he was also offered a contract. The league and its owners should update their policy on allocated players and discovery players if they want to improve the league and avoid a team like the fire losing out on a desired player two years in a row. I am still a bit baffled how a discovery claim could be put in on Drogba who has been a prominent professional footballer for many years.